The Brighton & Hove Bus and Coach Company – part of the Go-Ahead Group – is working with Ricardo and test equipment specialist HORIBA on an advanced research project that aims to scientifically investigate the emissions of a range of buses operating in a modern commercial public transport fleet. 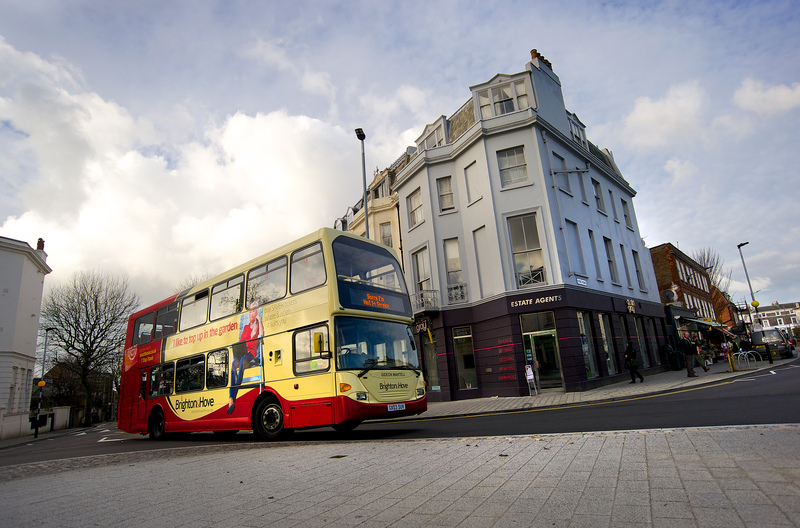 Brighton & Hove operates a fleet of approximately 280 modern buses on local services in the city and its surrounding area. 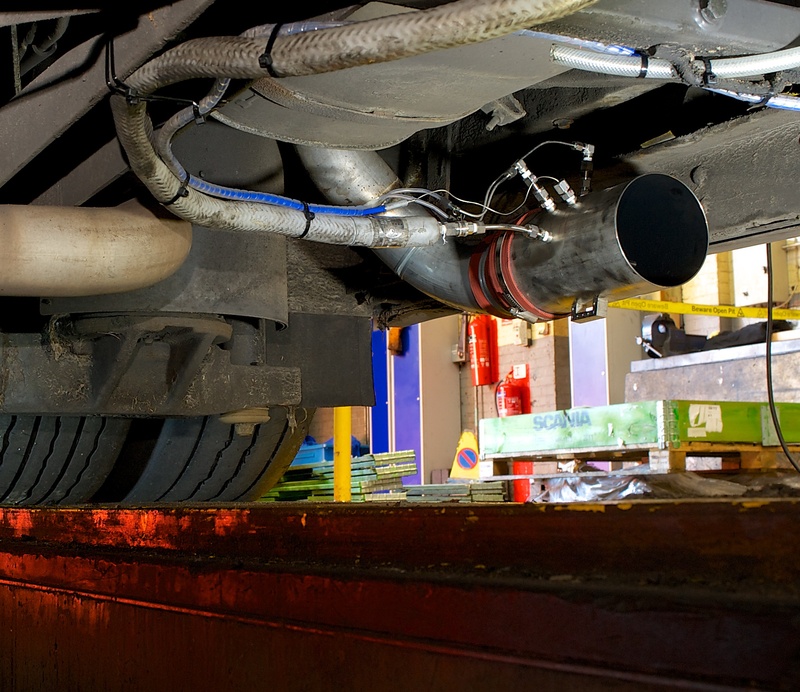 The company is committed to contributing towards a cleaner environment, with all of its more recent vehicles fitted with exhaust particulate traps. 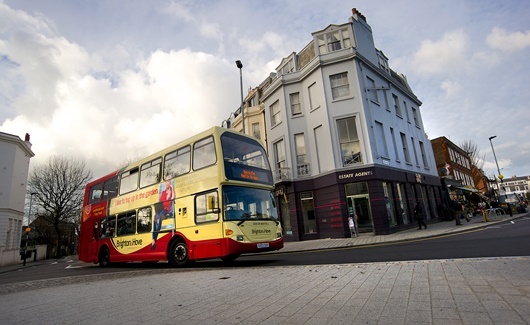 Its operations are focused on the city of Brighton & Hove which, according to recent Department for Transport statistics, boasts the country’s highest – and consistently growing – number of bus journeys per head of population outside London. With growing concern in towns and cities throughout the world regarding the potential health impacts of poor air quality, the need to establish the true emissions of industry and road vehicles in the urban environment is increasingly recognized. Cars, taxis, vans, public transport fleets and trucks each contribute to total vehicular emissions. 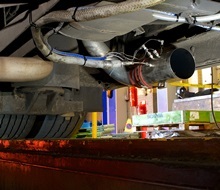 In each case however, while the exhaust emissions of new vehicles are thoroughly tested over regulatory drive cycles during the development phase, little information currently exists as to their actual emissions when used in service. To address this need for more detailed information, Brighton & Hove is working with Ricardo on an advanced research project using some of the very latest portable emissions monitoring systems (PEMS) testing equipment provided by HORIBA. 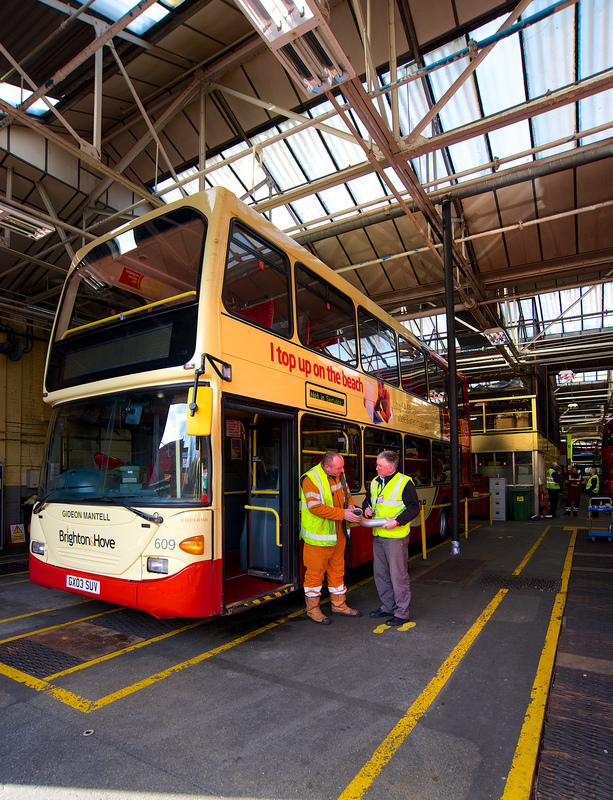 A selection of the Brighton & Hove bus fleet is being temporarily fitted with this advanced monitoring equipment, which also record ‘real life’ operational vehicle fuel efficiency during normal day-to-day service. 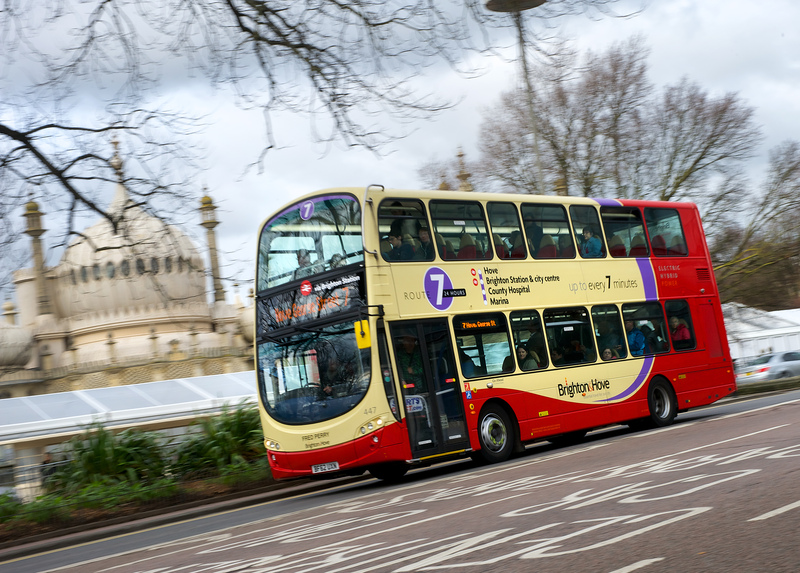 The vehicles being tested represent a cross-section of the Brighton & Hove fleet, from the oldest, which conform to Euro III level emissions regulations, up to Euro V-compliant conventional and hybrid buses. In each case, the vehicle under test operates on a standard service route through the city centre that captures a range of driving conditions and gradients. Like any regular passenger service, the bus will also stop frequently but for practical reasons of health and safety, passengers will not be permitted to travel on the test vehicles (the tests are not part of the regular timetable, to avoid inconveniencing the public). In order that the absence of passengers does not influence the results, each bus under test will be ballasted so as to replicate approximately a typical 25 percent capacity passenger load. 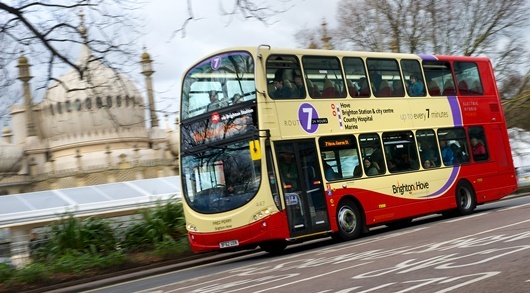 This Brighton & Hove and Ricardo research project is one of the first times that the actual service emissions of a public transport fleet have been investigated in this way. This results obtained are hoped to provide valuable information in terms of the future design and procurement of buses, in the selective deployment of vehicle types for different routes, and in the specification of new vehicle replacements and upgrades. The research will also be potentially extremely valuable to those concerned with the improvement of local air quality, as it will greatly add to knowledge of the emissions contributions of different buses under their typical usage patterns.